We introduce the infant to the idea of communication. 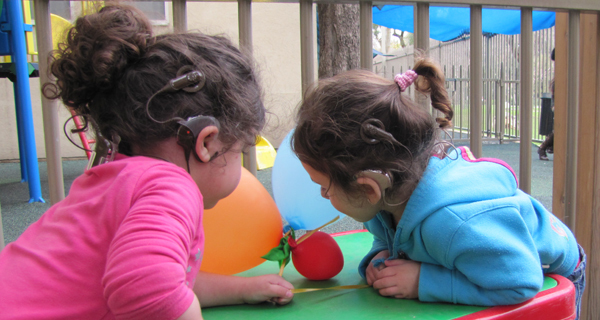 We teach the infant to hear with the help of a hearing aid. We teach the child to speak and to socialize. We monitor the child’s hearing ability. Occupational, music, art and movement therapy. Counseling by social worker and psychologists. Guidance on continuing the program at home.